Last spring while out treasure hunting at The Possum Trot Auction in Seale, Alabama, Daniel and I picked up this seat less chair for two dollars. You see we were inspired by Natalie Chanin's friendship chairs from her book, Alabama Studio Style and Butch Anthony's chairs in his amazing home which you can read about in the New York Times here. We were also short one chair at our dining room table. 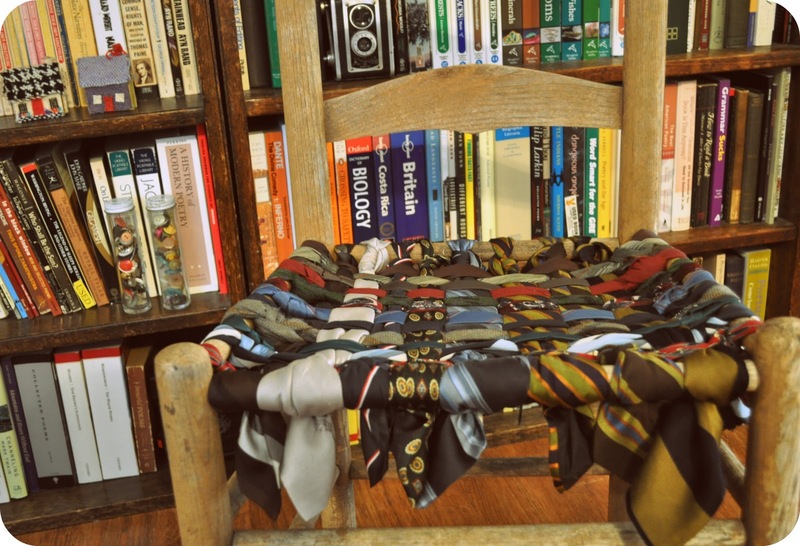 We didn't want to use just any old ties. We like for every item in our home to hold sentiment and tell a story. So, we spent our summer gathering up ties from my Daddy, my Father-in-Law, my Step dad Dad CJ, and Daniel. 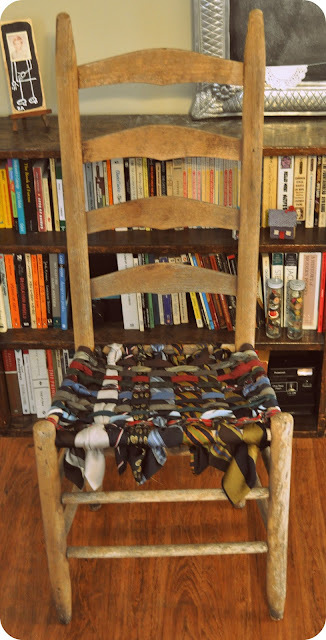 We finally finished it a few weeks ago and have named it our Patriarch chair. I love to look at it and see ties that my favorite men have worn in the past. 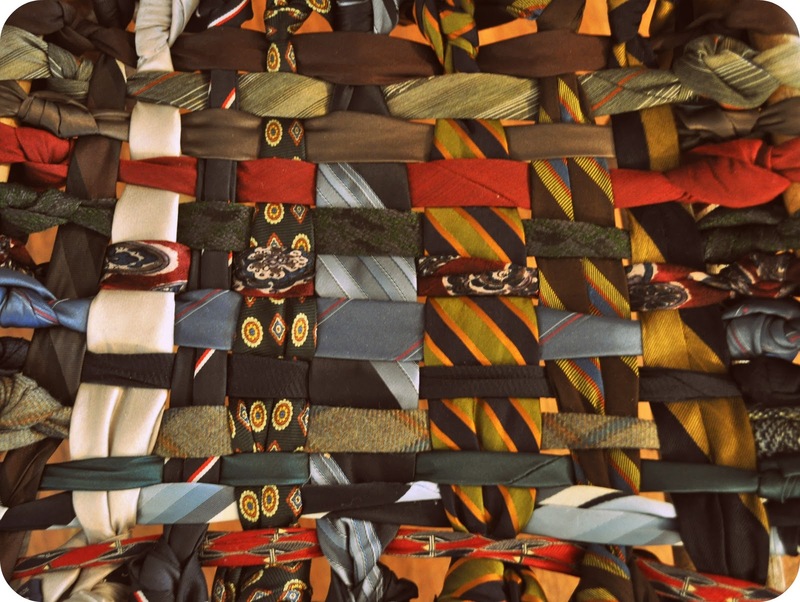 I feel like each tie has seen so much. I wish they could tell me their story. I imagine that my Daddy's saw a lot of dono crumbs. That is such a beautiful chair. That is so special! I love, love, love this. Such a neat idea. How very special! !